Today the French intelligence collection ship FS Dupuy de Lôme passed through Turkish Straits too, following the US destroyer USS Donald Cook. 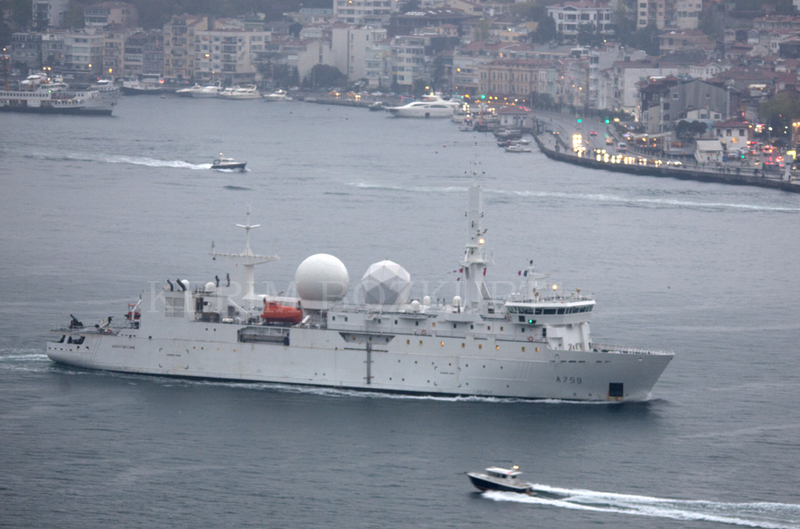 French spy ship FS Dupuy de Lôme passing through the Bosphorus. Photo: Kerim Bozkurt. Used with permission. 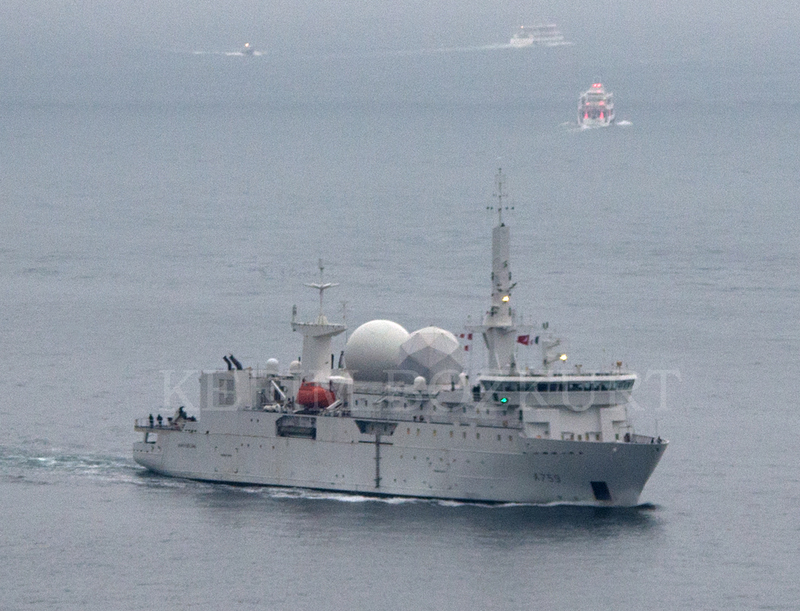 On 28 March 2014, FS Alizé, diving support ship used by the French external intelligence agency passed through Turkish Straits. She took part in a naval exercise in Varna, Bulgaria. I have no idea about her present whereabouts, but she could be still in the Black Sea. On 7 April 2014, FS Var, replenishment tanker arrived in Marmaris for a 3 day port visit. On 14 April 2014 we expect the destroyer FS Dupleix to pass through the Turkish Straits. But by far the intelligence gathering ship FS Dupuy de Lôme will be the most controversial one. 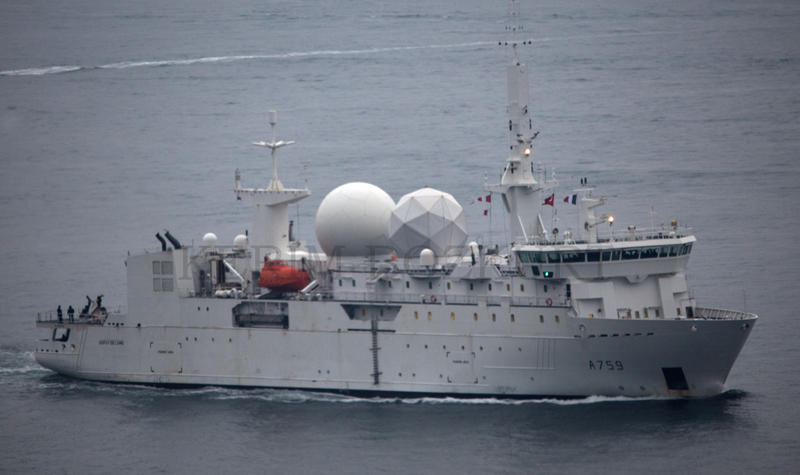 She is fitted with COMINT and ELINT equipment. Her helicopter pad might be used to launch and recover unmanned air vehicles which can carry additional intelligence gathering sensors. According to Jane’s Fighting Ship, the ship is available for 350 days a year and active for 240 days. May be France is better in making strategic communication at a level that can be correctly interpreted by Russians by sending two spy ships to the back yard of the Russians. Pingback: Un navire espion français en ballade en Mer noire. Il n’est pas le seul !